Let’s face it: style on a budget is hard! You want to look cute and fashionable. You want to love every item in your closet. Even if you work from home, you want to dress up occasionally and not look toooooo scrubby when you run to the store (especially because you’ll inevitably run into someone you know). Unfortunately, cute clothes are expensive. It’s hard to know how to shop and what to shop for…and if you even need to shop. Could simple tips help you make the most of your existing wardrobe? But where to start? I’m here to tell you it IS possible to have style on a budget. It simply requires a shift in your mindset. I’ll show you how! I get it–clothing is expensive. Style on a budget often means buying cheap, mass-produced clearance rack clothes which don’t wash well and don’t hold up. The piece looks cute on the rack, but after you wear it a couple times, it looks worn out. (Ugh.) Or there are the clothes you buy hoping they’ll fit “eventually” or that you're planning to “make work” with some adjustments (to either yourself or the clothing). What happens? You end up with a closet full of clothes that don’t fit right, don’t wash up well and don’t hold up to wear and tear. You end up spending money and yet you still have nothing to wear. I say, Stop The Madness! Then one day I had an epiphany. 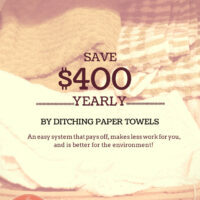 I read a blog post about a 40 Hanger Closet, by Ruth Soukup from Living Well Spending Less. In the post, she talked about how to get to a place where every item in your closet fit, was in good condition, and made you excited to put it on. So, I took her advice and started cleaning out my wardrobe! What I learned was you don’t need money for great style. You don’t need to go out and buy MORE cheap clothes! Instead, learn to work with what you already own. 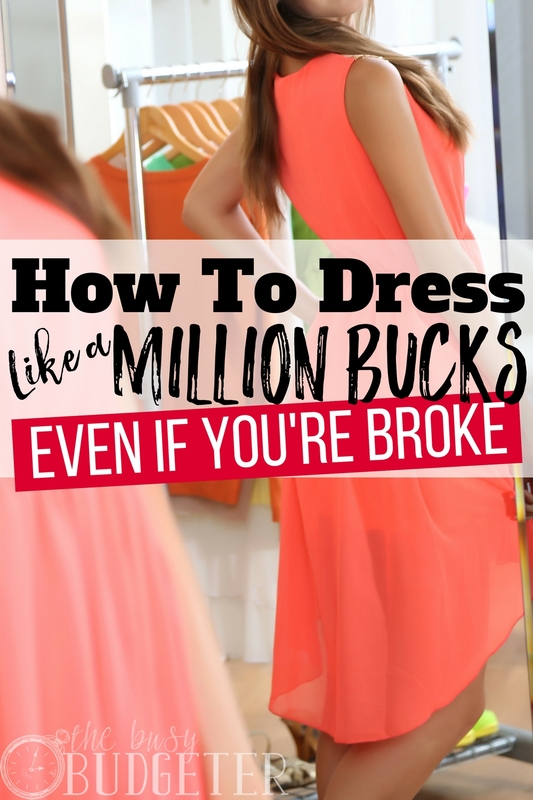 There are a lot of super simple ways to boost your wardrobe and get great style on a budget! Love your wardrobe! It’s totally possible to look like a million bucks with thrift store fashion. If you want to love every piece of clothing in your closet, the first step is to commit to stop buying junk. Stop buying clothes that don’t look amazing. We get in this “haul mode,” where we think in a 90’s t-shirt mentality: “She who dies with the most stuff wins.” (Literally, I saw that slogan on a t-shirt at the mall, circa 1996.) We think shopping will bring us more happiness and satisfaction. We think we’ll find the perfect dress or top and it will change our lives. Clothes will not change your life. Outfits will make you look good. Dressing up will help you feel polished, professional, put-together and attractive. Clothes will not, however, solve your problems. They aren’t worth going broke over. Having style on a budget means only buying clothes you LOVE and that look amazing on you. This means you might spend more time in the dressing room, but end up with far fewer items when you come home. It’s okay. You won’t win for having the most stuff (but you will like your clothes more). Speaking of the 90s, was there anything more awesome than thrift store fashion when you were a kid or teen? You could change up your look and find a whole new identity each week for about $20. It’s time to embrace thrift store fashion once again! Finding awesome second-hand items is possible, if you just understand how to thrift and know WHAT you’re looking for. Visit thrift stores frequently. A few years back I made good money buying thrift-store jeans and re-selling them on eBay. I will tell you, while this wasn’t my favorite job (thrifting is very time consuming) I learned a few tips about how to thrift. Thrift stores rotate clothes heavily, so you’ll find the best items if you visit them OFTEN and try on everything. Try on every item if you’re buying for yourself. Don’t be lulled into buying just because of the low price tag—if it doesn’t fit well and you don’t love it, don’t buy it! Watch for wardrobe staples and brand names that hold up well. Items like GAP t-shirts and brand-name jeans might cost a few dollars more, but you’ll get what you pay for (and it’s worth a few bucks for higher quality clothing). Pants, jeans, jackets and skirts tend to be in better shape than tops, sweaters and shoes. It makes sense, as these items are usually made with sturdier fabric. Look for classic cuts, colors and designs when combing through thrift store fashion. Dress pants, jeans and jackets usually don’t go out of style quite as quickly as other items. Fabrics like denim, tweed and wool are stronger than knits. Save time by sticking with thrift stores that are well organized and offer nice-quality items. While the selection might be more limited, you won’t sort through a bunch of junk to find what you want. Don’t bother with thrift stores that don’t organize clothing by size (talk about a nightmare to navigate)! Once a year I go through my closet and do an overhaul. I create a shopping list based on the items I own and what I think I’ll need to stretch my wardrobe. I also donate or discard any item that’s no longer working. Cleaning out your closet will help you realize you probably own more clothes than you think. I am always amazed, even with my organized closet, how many great pieces I find when I clean out. If you’re wondering how to clean out your closet, it’s simple and literally takes 30 minutes. In fact, speed will help you, because you won’t spend time agonizing over what to keep and what to toss. Set a timer for 20 minutes, grab items out of your closet and make an immediate decision. Do you love and want to wear it right now? If not, out it goes. This type of speed cleaning out might sound tough, but I promise if you end up paring down to just the items you love, you’ll get dressed fast and look awesome every single day. As you go through your closet, work on a shopping list. This is the list to take with you when you go to the thrift store and to use when combing through sales for QUALITY items. If it doesn’t go on the list, it shouldn’t go into your shopping basket or your closet. Watch sales for your list items. When stores run a Memorial Day or Labor Day sale, or offer double coupons and family & friends deals, you buy! 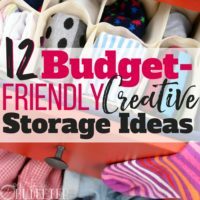 Keep an eye out for the items you need and then find your style on a budget. A capsule wardrobe is a great concept for people who are looking to stretch their closets and get by with fewer pieces. Basically, you set yourself up with pants or tops that go with multiple options in your closet. You might own three pairs of yoga pants in black or grey and then several interchangeable tops with the pants. The idea behind a capsule wardrobe is every item goes together. So, stick to clothes in a similar color family and opt for cuts and styles to match multiple pieces in your closet. A capsule wardrobe doesn’t mean every piece is dull or boring—you might want a bunch of cute patterned tops, but if they all go with black, grey or brown, you can interchange them with different pants, jeans, skirts and more. Get trendy with cute chunky necklaces, a scarf or some other item, and keep the rest of your wardrobe simple. You’ll always look pulled together without stress! Before you hit a sale or a thrift store, know exactly what you need. Your list is your guide. I don’t want you to ever go into a store without a list. I’d rather you spent full price on an item you love, that works for you (something you’ll wear again and again) than buy a cheap item you just sort of feel “okay” about. This isn’t saving you any money, time or stress in the long run. Sometimes being cheap on clothing can end up being crazy expensive. Building up a quality wardrobe takes time, but always stay within your budget. The other awesome benefit of Stitch Fix is you don’t need to keep clothes just because they’re sent to you. You can try them on, get opinions, check out the washing instructions and see if the piece goes with the rest of the closet. You get more time to decide if it’s really an item you like and you end up with quality pieces you love. Style on a budget is possible! The answer is to go with the less-is-more mentality. I want you to be honest with yourself, ask: Am I holding onto clothes because I like having a lot of them? Or would I rather have fewer clothes, but every piece makes me feel good? Go for quality clothes that make you feel good and getting dressed will always be easy. You’ll feel confident and put together. You’ll look great and you’ll feel great! So, what are your favorite tips for style on a budget? 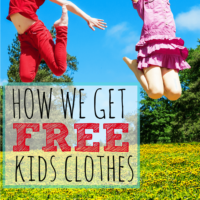 How do you keep your clothes working FOR you? These are some great tips! Now if only more people would use them instead of going into debt to buy fancy clothes. I’m glad someone agrees with me about the wonderfulness of Stitch Fix. I was just saying the other day that even though I may be spending more than I normally would per item, Stitch Fix has kept me out of the stores which has ended up saving me money! Totally! 🙂 Thanks for reading. I keep a garage sale list that includes clothing needs for every member of my family (both specific items and the number of items needed (such as 2 pairs of jeans in such and such size). If I can’t find the needed items at garage sales (and I primarily shop garage sales two specific weekends a year when there are community garage sales in our area) then I’ll go to the thrift store. At garage sales, I’ll typically pay $1 or $2 for shirts and pants, or $5 for a dress. Thrift stores are a bit more so they’re my second choice. I lost weight this past year after my eighth was born and I have been building a new wardrobe slowly as I find pieces I love.Right now I’m wearing a dress that I LOVE that I bought for $6 at the thrift store. Hello Rosemarie, everyone wants to look perfect and fashionable nowadays. Your blog is really helpful for those who have low budget for their outfits. I loved your blog and will surely try all your tips. Thanks for sharing. Keep posting! Thanks for these tips! I think I should let my sister read this. She used to buy many expensive things and she’ll say “C’mon you just have to look good to feel good” which I don’t really agree. For me, its that comfort to get you in style and wear your best confident to be in style. 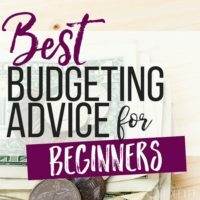 These tips are really helpful for everyone while preparing a budget for the shopping. It’s really important to look out for discount offers on branded apparels. So we can save few bucks and enjoy the favorite brand. So thanks for such amazing article. Yay for thrift stores and second-hand picks! I always try to go to thrift store more than going to a big stores in the city! As I can always find something that would fit my style! Thrift stores can save you money, they also have fashionable items. Nice post! I scored a few really nice items in thrift stores and further rely on high-quality basics that I buy when in sale. The less items in the wardrobe, the easier it is to get dressed. And thinking in ‘outfits’ really helps.